The Business and Finance program covers four major areas of research: Accounting, Finance, Management, and Marketing, with the possibility to specialize in several subfields. Our program is strongly centered in providing the necessary tools and skills to do insightful cutting-edge analytic research with a very strong empirical foundation. We provide a collaborative, supportive and intellectually stimulating research environment for students to start a solid academic career and to publish at the highest standards of the international scientific community. Our faculty members are leading scholars in their fields. They contribute to the academic community by publishing in leading research journals, such as: Academy of Management Review, Academy of Management Journal, Administrative Science Quarterly, Organization Science, Management Science, Strategic Management Journal, Journal of Accounting and Economics, The Accounting Review, Accounting Organizations and Society, Review of Accounting Studies, Econometrica, Journal of Finance, Review of Financial Studies, Journal of Financial Economics, Review of Finance, Journal of Marketing Research, and Marketing Science, among others. Visiting professors from top international schools complement our permanent Faculty. Former students have placed very well on the international job market; recent academic placements include: City University of London (Cass Business School), University of Bristol, Warwick University, University College London, Copenhagen Business School, Erasmus University, Max Planck Institute, Universidade Nova de Lisboa, Stockholm School of Economics, University of New South Wales, Lancaster University, IESE, Instituto de Empresa, Universidad de Navarra, Universidad Autónoma de Barcelona, among others. The Business department offers up to 15 fellowships, which include tuition, a stipend (approx. 12,000 € annually for the first two years), and access to research funds. 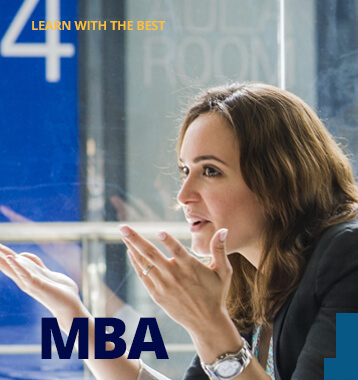 During the first two years, the students have a full course load that includes research work towards a master's thesis all within the framework of the Master in Business and Finance. Then, qualified students enter the thesis writing phase with the framework of the PhD in Business and Finance.